We’re nearly 30 years past the advent of Jane Fonda videos and spandex unitards that came with a useless belt and hot pink dumbbells. 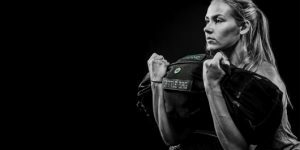 Although our taste in workout clothing has changed for the better, there are still some pesky misconceptions about strength training and this article is about to debunk ten of these misconceptions. 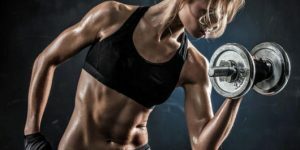 Some of the myths about strength training for women include lifting weights makes you bulky, weight training will lift your breasts, women should use light weights and do a lot of repetitions, cardiovascular exercise is enough to get you in shape and many more. The important thing about exercises is that you are to get strong and healthy. Women are terrified of getting bulky. It is not sure where the idea came from that if we pick up a weight heavier than ten pounds, we’re going to wake up looking like Sylvester Stallone. This will simply not happen. Weights don’t make you bulky. Steroids make you bulky. So unless you’re receiving mysterious shots from a shifty man in the locker room, you are not going to become bulky. If this were true, personal trainers could put a serious dent in the cosmetic surgery industry. Breast tissue is mostly comprised of fatty tissue. It would be wonderful if we could change the composition of breast tissue but for now, we can’t. If you own pink dumbbells, you will most likely throw them away because odds are that they’re extremely light. Light dumbbells can be useful for rehabilitation or isometric work on very small muscles but are not at all useful. If you find yourself counting to 50 or 100 at any point during your workout, the weights you’re using are too light. Don’t be afraid to go heavy. Aim for 8 – 12 repetitions. As we discussed in Myth #1, you aren’t going to become a bodybuilder. And If you do, film an infomercial immediately and market it like crazy. You’ll be rich overnight. Logging hours on a cardio machine or pounding the pavement is going to make your heart happy but it’s not necessarily going to get you the body you want. Cardiovascular exercise is definitely important but strength training is just as important. Strength training builds muscle. Other than cardiovascular exercises, we also need strength trainings in order to move about our daily lives and avoid injury. Muscle does not turn into fat when you stop weight training. Muscle and fat are entirely different biological structures and one cannot become the other more than a person can turn back into a pumpkin after midnight. When you stop weight training, your muscles become smaller and have less “tone”. Not true. Shockingly, we possess the same muscle structure as men. Although our hormones differ, our bodies function in exactly the same way. The type of training program should depend on your goals. If you play a particular sports, you’ll want sports-specific training. If you run, you’ll want a program geared towards runners. There’s that handy little chart on the treadmill and usually, a poster somewhere in your gym. It shows you where your optimal heart rate or rate of perceived exertion should be in order to achieve every woman’s goal – “fat burning.” This idea is based on a truth regarding what the body uses for energy. The body relies on adenosine triphosphate (ATP) or fatty acids for energy. Long bouts of steady state exercise eventually tap into the fatty acid stores. This sounds good but the reality is that if your body is using fatty acids, you’re not working as hard as you could be. Somewhere along the line, someone equated “fatty” with “fat” and voila! The fat burning zone was born and this is simply not true. Crossing the street is dangerous. Operating a hair dryer is dangerous. Eating questionable leftovers can be dangerous. Do you now get the idea? Anything is dangerous if you don’t know what you’re doing. You probably wouldn’t wander onto a construction site and test drive a forklift. The same rules apply to strength training. If you don’t know what you’re doing, it’s absolutely dangerous. Work with a personal trainer to learn proper exercise forms and techniques. Some Pilates instructors claim that doing Pilates would give us “long, lean muscles.” This is absolute utter nonsense. The size of a muscle is related to strength which you can control. You cannot make a muscle longer any more than you make yourself taller by hanging yourself upside down from the ceiling. Once again, if this were true, we’d all be walking around in half shirts. If only, if only. We all have very nice muscles and if your body fat is low enough, those muscles become visible. However, spot reducing continues to be one of the biggest myths out there. Overall fat reduction comes from a balanced exercise program along with healthful eating – and it will spot reduce your entire body. Unfortunately, we don’t get to pick and choose which body parts change. Now that we’ve debunked the most common misconceptions about weight lifting for women, toss those pink dumbbells, ignore the “fat burning zone”, and educate your Pilates instructor about what muscles can actually do. 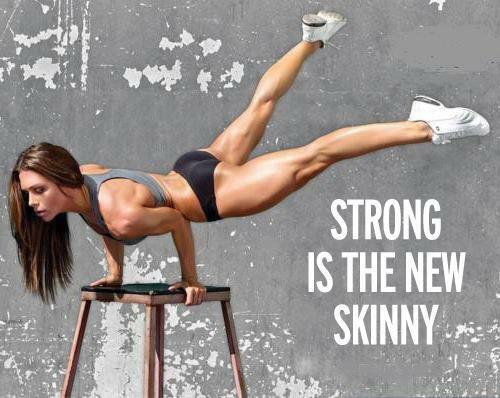 Because skinny girls look good in clothes, strong girls look good naked!